This handsome bird was once considered the most common songbird in America. Males are extremely persistent singers—one was followed all day as he sang 22,197 songs! 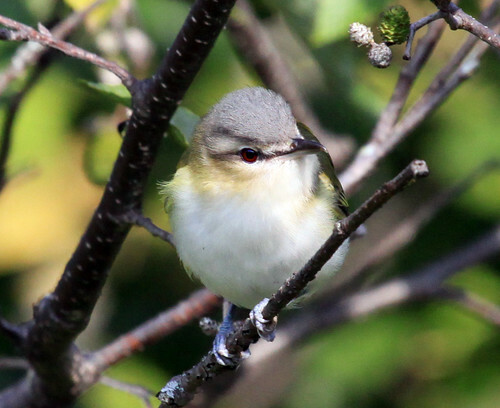 You can learn more about this fascinating bird, and a little about the fascinating woman who counted those 22,197 songs on May 27, 1952, on my Red-eyed Vireo: An almost-never-ending blog post to honor an almost-never-ending singer.